At Capital Dental Clinic, we are proud to offer Periodontal services. Soft tissue procedures are often necessary for implant dentistry, which Dr. Leo Cain can provide. What kind of Periodontal services do we offer? 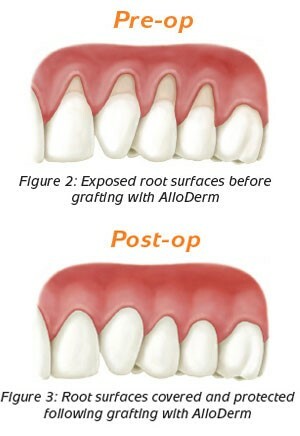 Dr. Leo Cain offers pocket reduction surgery, soft tissue grafting to prevent and revers tissue recession around individual teeth are common treatments that we can perform for patients. Other Periodontal Services that we offer involve bone grafting around pre-existing teeth, plastic surgery procedures of soft tissue surrounding teeth to get better aesthetic results. Dr. Cain offers this service to not only his patients but on a referral basis with between 12-15 other dental clinics in the greater Fredericton area. We are very privileged to offer this service at Capital Dental Clinic. For more information, call us.